I have unfortunately not been blessed with green thumbs in real life (my potted plants and flowers die in a week or two on average), but I happily practice and work towards the mastery of gardening in our virtual world. 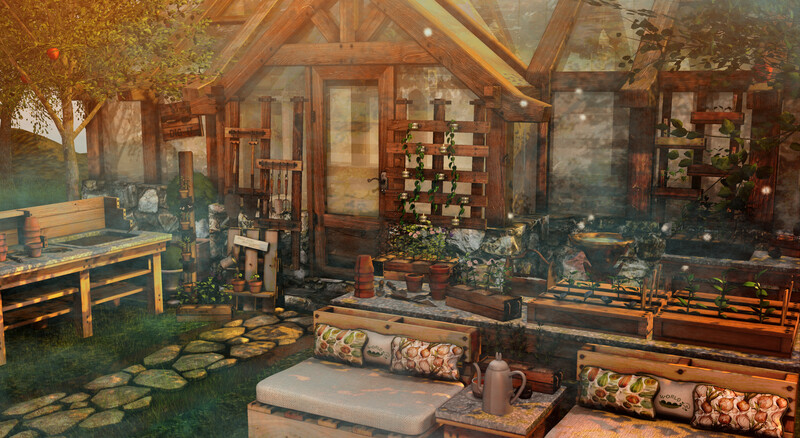 Gorgeous green-filled sets such as the “Greenhouse” gacha set by Artisan Fantasy truly help me achieve this illusion reality. 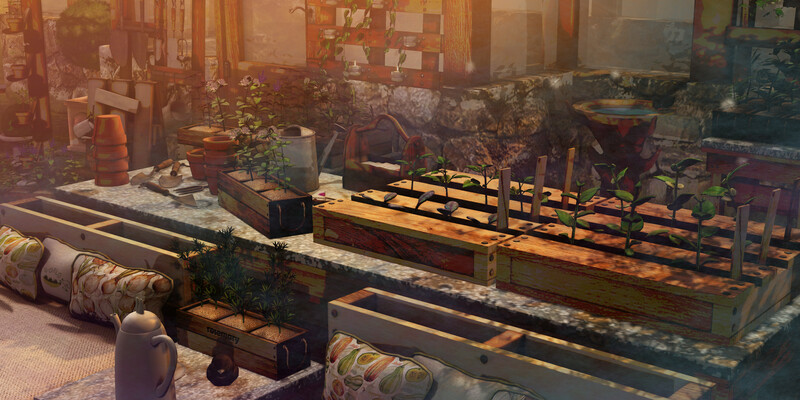 I additionally rezzed the complimentary “Herb Garden” gacha set, also kindly provided by Artisan Fantasy, to even further realize my gardening fantasy. These pieces are all incredibly detailed and will spark a heightened sense of liveliness into any and every garden; they are essentials for all (aspiring) Second Life horticulturists. Each of these pieces are available to play for at the Artisan Fantasy mainstore. Click here for a teleport and scroll down for post details. Happy gardening! How pretty, perfect for summer decorations.